"When I cook now I feel really comfortable; it's really natural to me. In the beginning, it didn’t feel natural because I didn’t know that much. A few years after graduation, I feel like I'm in my element now; I trust my instincts and my taste buds." 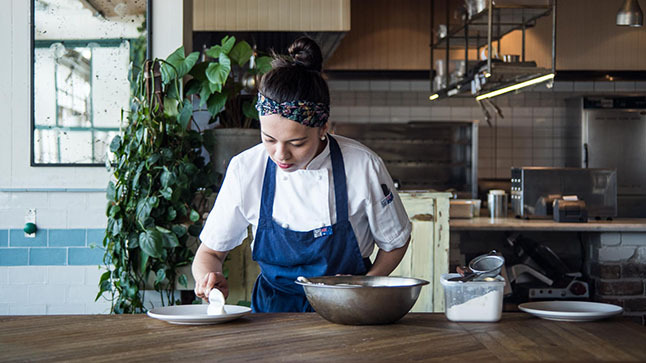 Our cooking classes are delivered on campus in The Rocks, with time spent at our demonstration kitchen in Crows Nest. 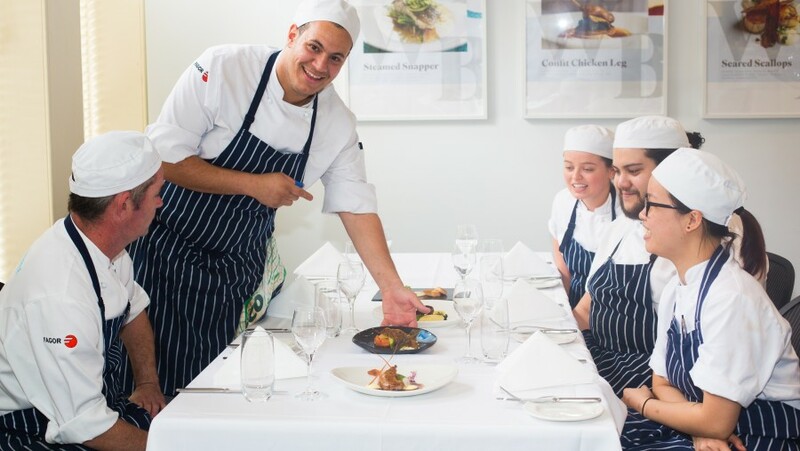 The demonstration kitchen allows students to develop the fundamental food and kitchen skills and knowledge prior to serving real guests in our restaurant, William Blue Dining. The first two years of the qualification focus on your technical skills as a chef. 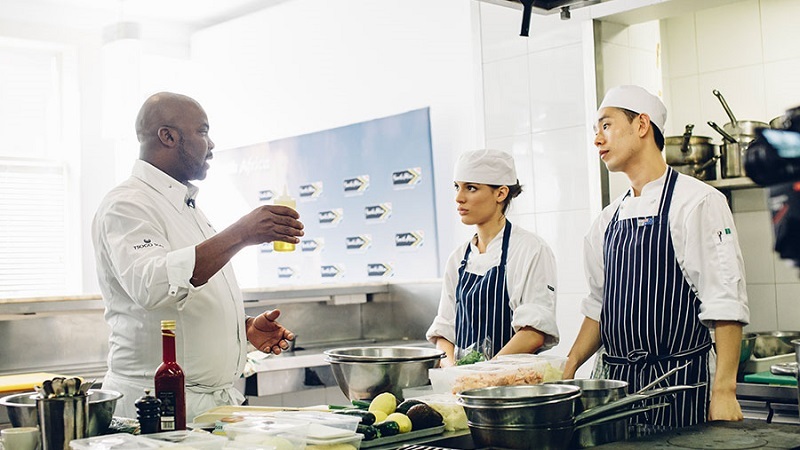 You will apply your theoretical knowledge and hone your practical skills in William Blue Dining. These skills allow you to receive a Certificate 4 in Commercial Cookery upon completion of the Associate Degree. In the second year, you will spend six-months working as a chef for your industry placement subjects. Perhaps you want to own your own restaurant? The final year of the course will equip you with the skills and knowledge to own or manage a restaurant. We are offering current working professionals in the hospitality industry a 15% scholarship for anyone working in the hotel, restaurant, hospitality, events and tourism industry.